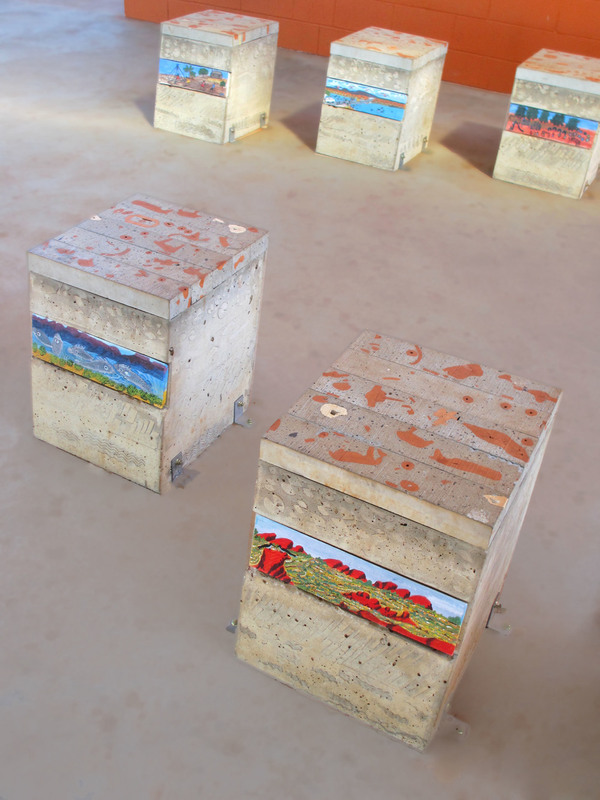 A collaboration with artists of the Hermannsburg Potters, commissioned by CAYLUS. The title of this work comes from Western Arrernte translations of concepts relating to the present and the past, and the ‘oneness’. At any one moment there are multiple and concurrent time-scales that offer different ways to see, understand and measure the passing or experience of time. These functional sculptures express the overlapping time-scales that feature prominently here, in Ntaria. The establishment of the Lutheran mission in the notso distant past, its pioneering families and its physical and social legacy exerts an ongoing influence at Ntaria. So too does the Finke River, known as the oldest living river in the world, geologists agree that the river has been moving along its current course for at least 100 million years. Layered over these time-scales is the personal and family stories of the day-to-day, small moments and memories that are shared, passed-on and kept alive. And underlying all these is the Tnangkarra (Dreaming), where all things were created, it is a period on a continuum of past, present and future. 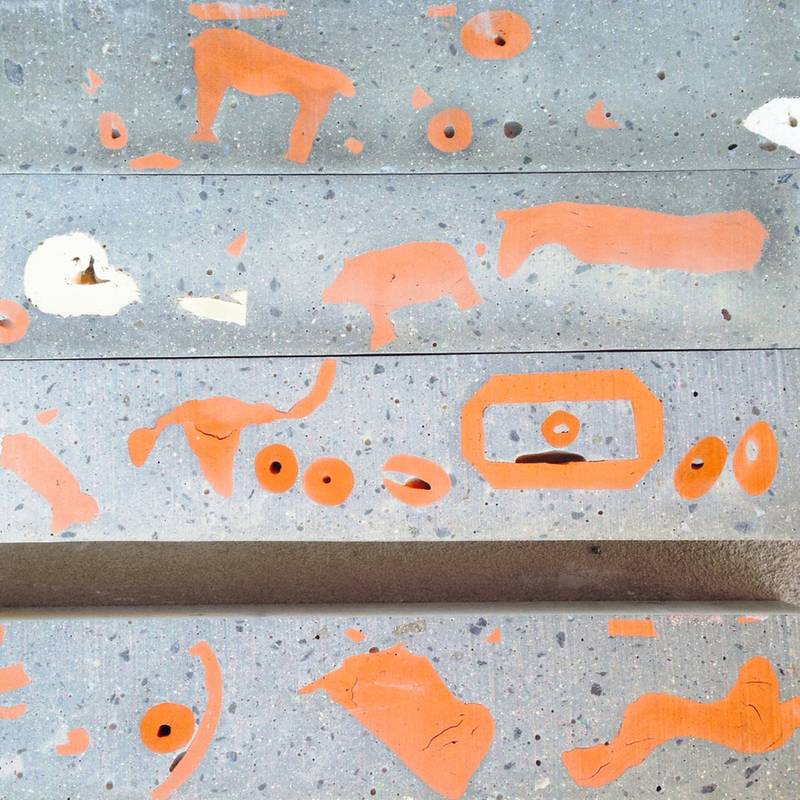 The abstract but slightly familiar shapes on the top layer of the works are ceramic or pottery shards made by the Hermannsburg Potters that have been embedded into concrete tablets. The tablets were then cut into strips to reveal unexpected but welcome cross-sections. 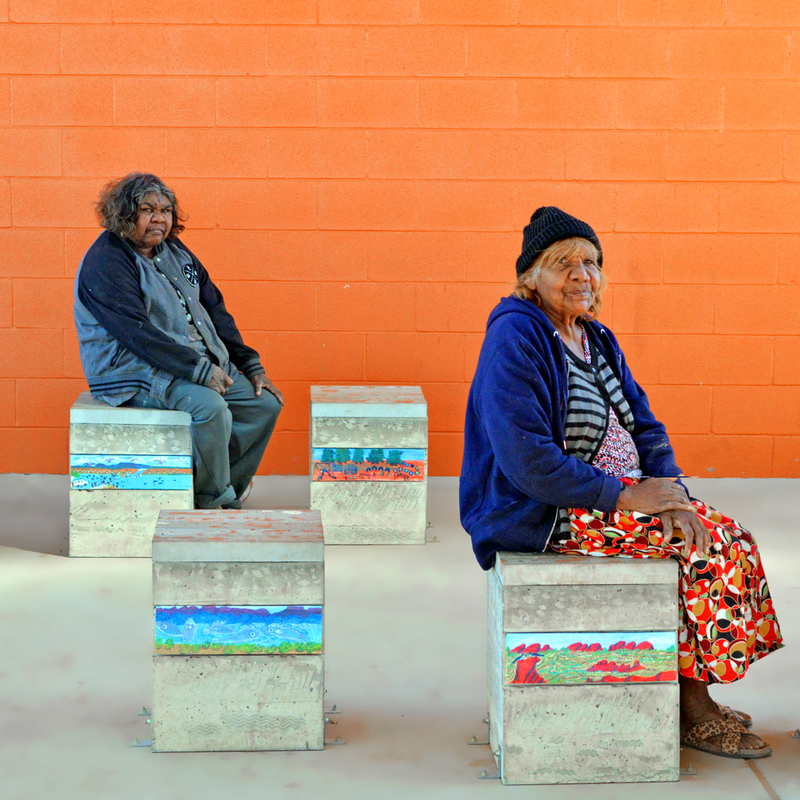 The tiles in the front faces were hand-painted by Judith Inkamala, Dawn Wheeler, Rahel Ungwanaka, Anita Ratara, Hayley Coulthard, Lindy Rontji, Rona Rubuntja and Beth Inkamala. 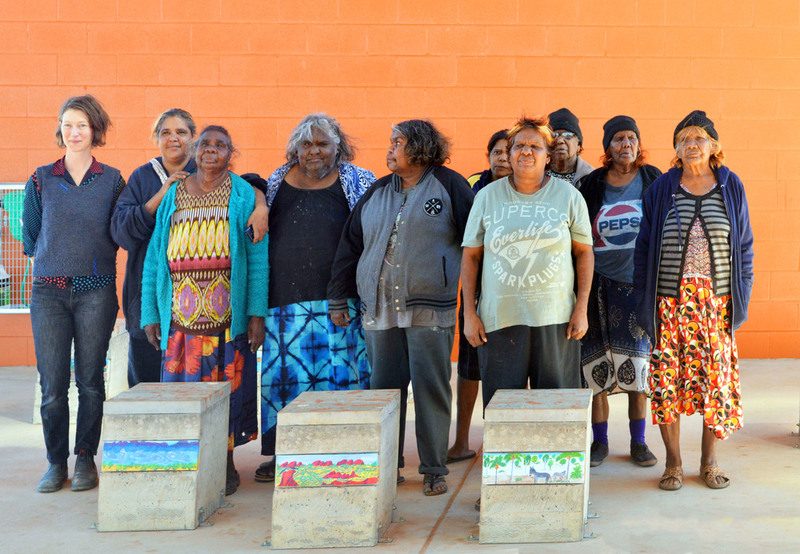 This project was a collaboration with the Hermannsburg Potters, with support from the Central Australian Youth Link-Up Service.